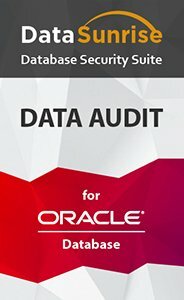 Oracle audit by DataSunrise helps to reveal data breach and identify its cause. In conjunction with SIEM systems, data auditing enables to reveal suspicious behavior in advance and to prevent data leak. Oracle audit solution by DataSunrise enables real-time tracking of database user activity and changes made to database tables. In simple words, you can easily find out who, when and for what purpose accessed your database. Can be customized to notify of suspicious activity, so that administrators can timely react to the matter. Apart from hacker attacks, data leaks caused from the inside by privileged users are not less of a threat. Data Audit can help you avoid such incidents by providing detailed information about all database activity. It can work alongside with any SIEM-system. Audit results can provide various attributes for a specific purpose: codes of SQL queries, client applications, IP addresses, usernames the database has been accessed from, what modifications have been made and so on. Oracle Audit by DataSunrise is a reliable and user-friendly data activity monitoring tool with which you always aware of what is going on in your database. It will help you to find those responsible for data breach and, what is more important, avoid suchlike incidents in the future. More detailed information on monitoring feature is available here.